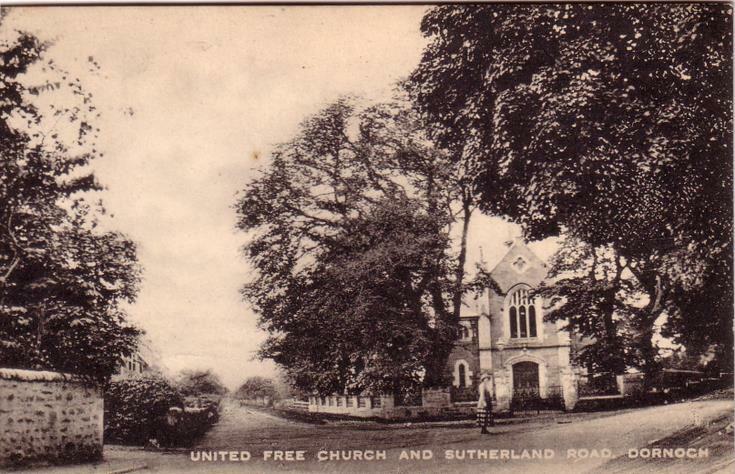 Monochrome postcard, from the Basil Hellier collection, showing a lady standing in front of the United Free Church. The reverse bears a description of the setting of the church, and general remarks about Dornoch. It is apparent, from the note, that the postcard was enclosed with a letter.